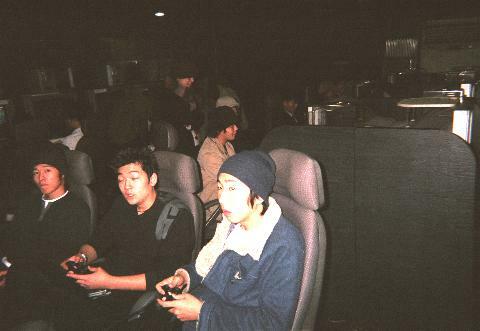 I was in Seoul to attend KGDC 2003. It was my first time in Korea, and it was an eye-opener. Something I noticed with great interest was a couple of significant differences in the perception of board games (table games, card games) and video games there, compared to here in the U.S. I was already aware that video games are less popular than online PC games in Korea. I visited some video game centers and arcades in Seoul, and was surprised to see females there. In the U.S., female players aren't unheard of in game arcades, but would be seen in extremely low numbers compared to male players. 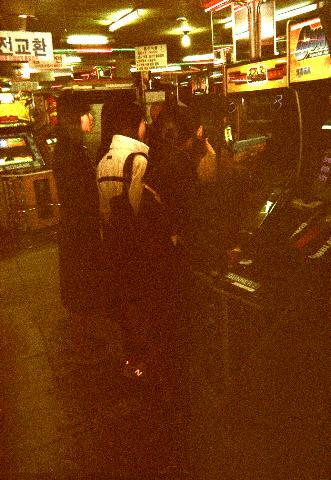 In one arcade, I noticed a group of girls huddled by an arcade game. I'm sorry about the poor quality of this picture. 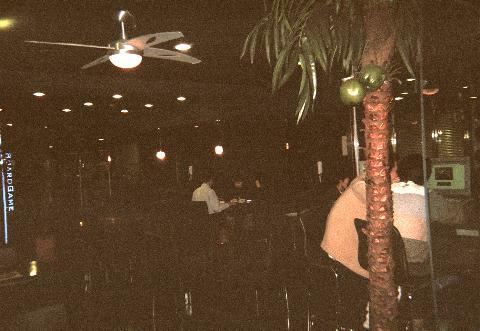 I neglected to take my "dica" (digital camera) on the trip, and had to make do with those cheap disposable cameras. You would never see a group of girls at an arcade game this way, in the U.S.! In Coex (a huge shopping mall / convention center near my hotel) there is an Xbox Live center, where folks can check out online Xbox games (with hopes of selling more Xboxes, presumably). Male and female players alike were checking out the games. Near the Coex cineplex ("Megabox" - how about all them X's??) 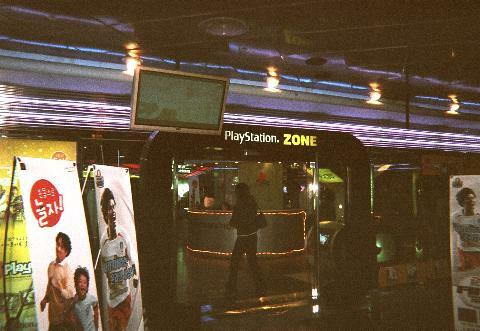 there is a Playstation center. I observed numerous female players in there. Lousy cheap disposable camera... wish I'd had my dica instead. 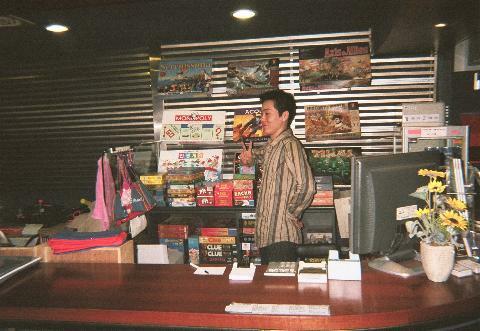 Another observation that really struck me in Korea was the popularity - even among video game designers - of board games (by which I mean to include card games; any game that can be played without the aid of electronics). 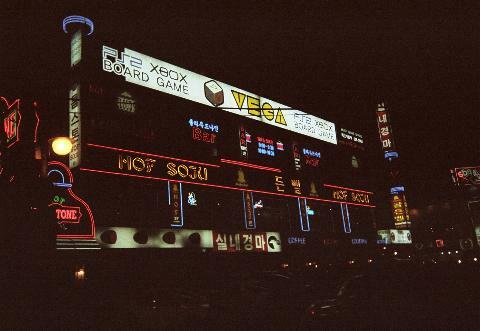 During an evening outing with some of the Korean game designers, Taesun pointed out Multi Game Space Vega, a center for playing board games, console games, and online PC games. The front desk has lots of board games available to choose from. The board game area wasn't crowded when we visited, but there were a couple of couples playing. The folks you would see in this picture if only I'd had my dica with me were playing Rummikub (an Israeli table game roughly similar to rummy or mah-jongg). In the electronic games room, there was a group of guys playing a multi-player Xbox game, and several folks using computers to play online. 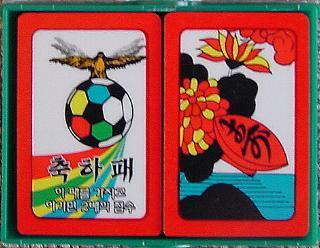 But of particular note for me, as a fan of the Japanese flower cards called hanafuda, was the huge popularity of Go-Stop. This game is so popular in Korea that I even happened upon a scene showing two women playing Go-Stop on a daytime soap opera (I was channel-surfing, you know how it is). Although Go-Stop is a variant of the Japanese game Koi-Koi, I've never met anybody in Japan who actually plays any hanafuda games. But every Korean game designer I met knew Go-Stop well. Earny bought me these cards in a 7-11 store we happened to be passing. Taesun spent several hours teaching me the fine points of the Korean rules. For complete rules of Go-Stop, CLICK HERE. 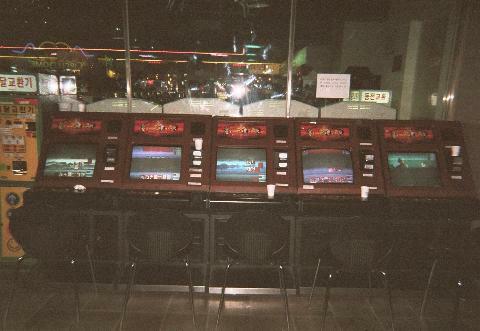 Go-Stop is so popular that every online games portal has a Go-Stop game, and every arcade has Go-Stop machines. 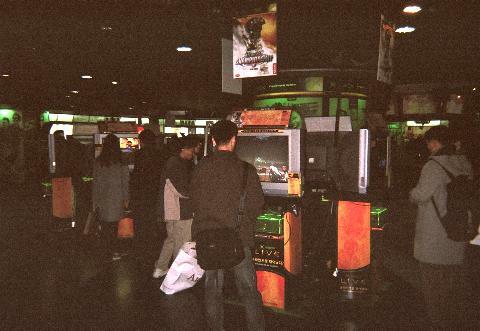 In Game Champ, an arcade in Coex, they have a bank of five machines. I discovered (the hard way) that these machines are ranked in order of gambling challenge - the machine on the left has the lowest minimum bet, and the one on the right has the highest. I get many questions from young aspiring video game designers, and some from aspiring board game designers. It seems that today's generation was raised on video games, and cares little for board games and card games. I, though, being a Baby Boomer from the yankee states, was raised on board games and card games as a great way to pass the time. I think today's generation has missed out on a great pastime. Koreans are much more social than Americans - while we go home after work (or after school) and play on our video games or PCs, Koreans go out, and often while away the time playing sociably, either online games or as a group activity at game centers like Vega, Game Champ, Playstation Zone, Xbox Live, or the numerable PC bangs - that's what they call the internet game cafes there. 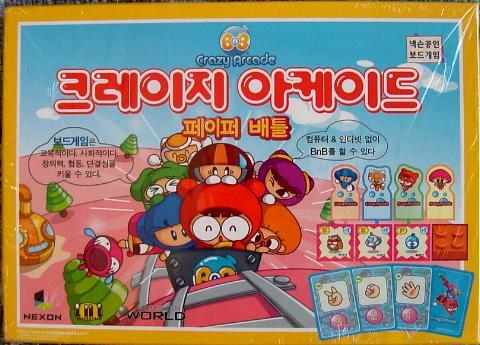 I think today's aspiring game designers would do well to visit Korea.